Peak Into our Chinese New Years Party at La Muse. If there’s one thing that people underestimate about China in the West it is its diversity. There is a tendency to see China as one homogenous block, a sort of mono culture. Though in reality many of the things we see as representing China, are regional. The fact is that Kung Pao Chicken represents Shanghai as much as Pasta could represent Poland. 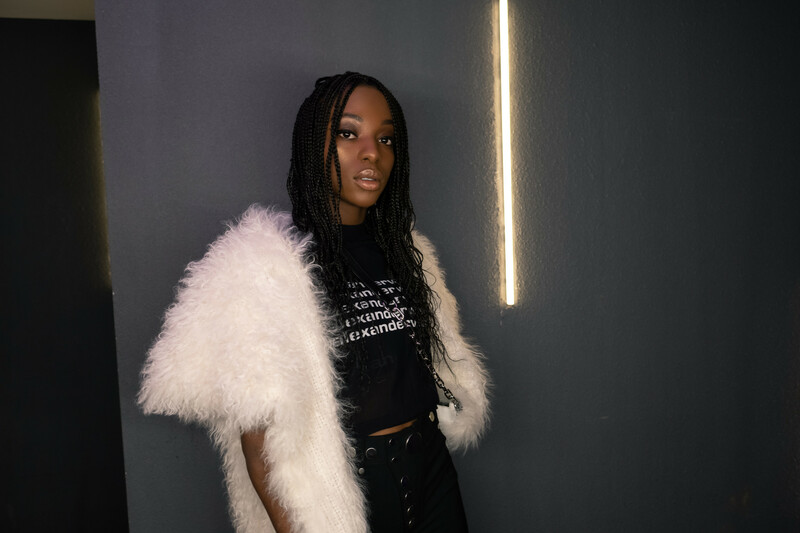 Fatou wears Alexander Wang t-shirt, Alexander Wang pants, Alexander Wang bra and Alexander Wang bag. Compounding this is China’s rapid modernization as old tropes and symbolism fail to incorporate the modern Chinese diaspora. As Canada’s and in turn Montreal's Chinese population grows so does its cultural impact, and that goes beyond just food. Fatou wears Alexander Wang t-shirt and Alexander Wang pants. Thomas wears Alexander Wang pullover and Levi's Jeans. Julie wears Alexander Wang turtleneck and Yves Salomon vest. Flaco wears Puma t-shirt and MISBHV pants, Alexander Wang belt and Alexander Wang earrings. 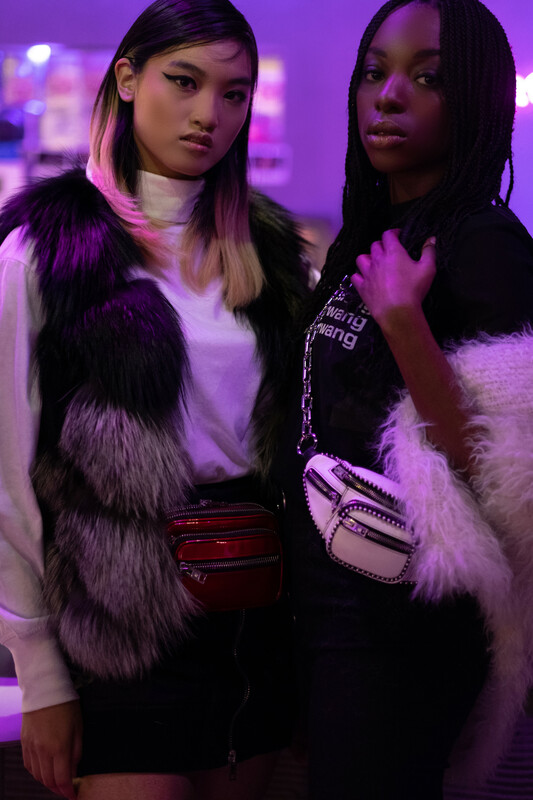 Fatou wears Alexander Wang t-shirt, Alexander Wang pants and Alexander Wang bag. Thomas wears Alexander Wang pullover, Alexander Wang ring and Levi's Jeans. Julie wears Alexander Wang turtleneck, Yves Salomon vest and Alexander Wang bag. Recognizing this, when coming up with an idea for a Chinese New Year shoot, their eventually seemed only one logical place to go, KTV. Something that is beloved countrywide. 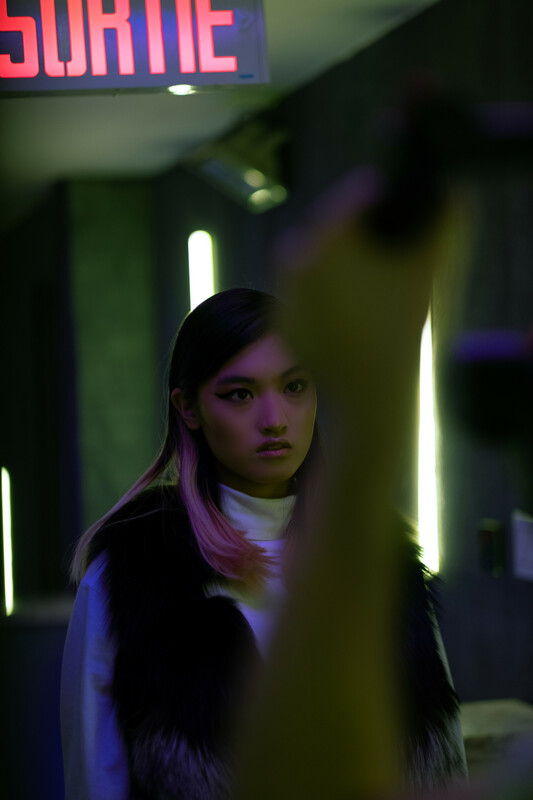 Julie wears Alexander Wang turtleneck and Yves Salomon vest. 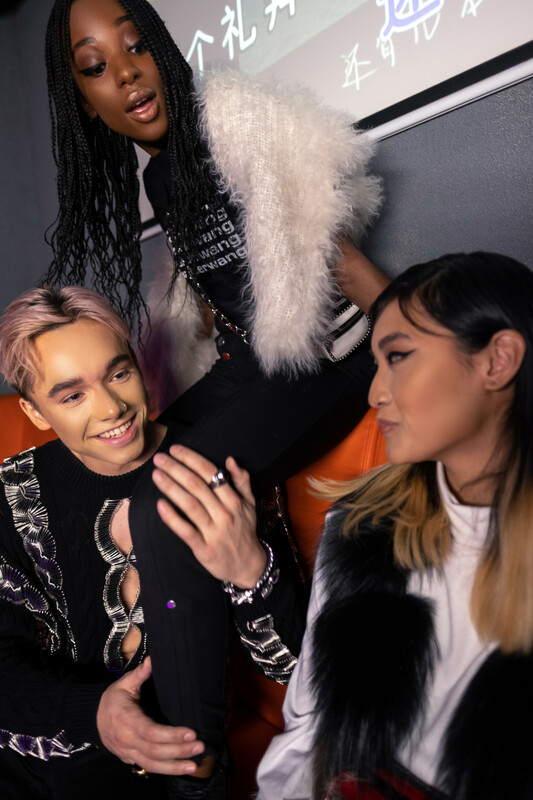 KTV is Chinese cultures contribution to the Montreal nightlife canon, while the Irish gave us Pubs, and the Arabic community brought Shisha bars, KTV stands along side them as part of Montreals increasingly diverse nightlife scene. Julie wears Alexander Wang turtleneck, Yves Salomon vest, Alexander Wang bag and Alexander Wang skirt. Flaco wears Puma t-shirt, MISBHV pants, Alexander Wang earrings, Alexander Wang belt and Y-3 jacket. 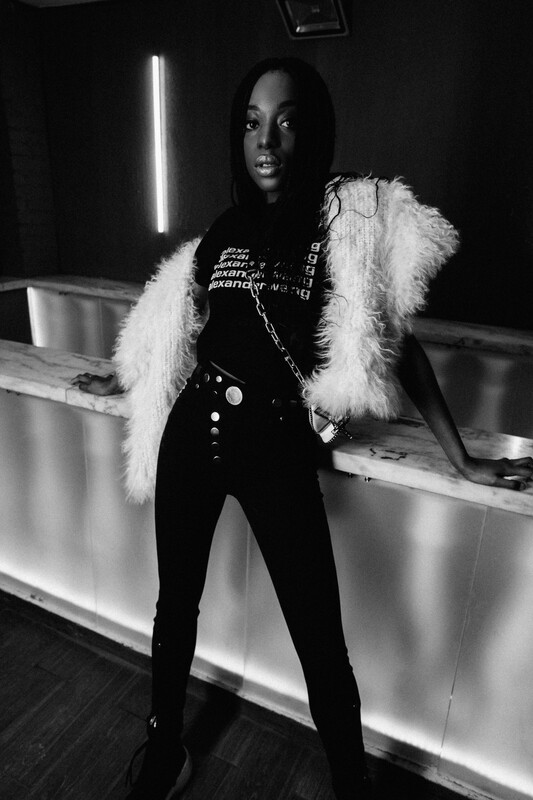 Fatou wears Alexander Wang t-shirt, Alexander Wang pants, Alexander Wang bra, Alexander Wang boots and Alexander Wang bag. 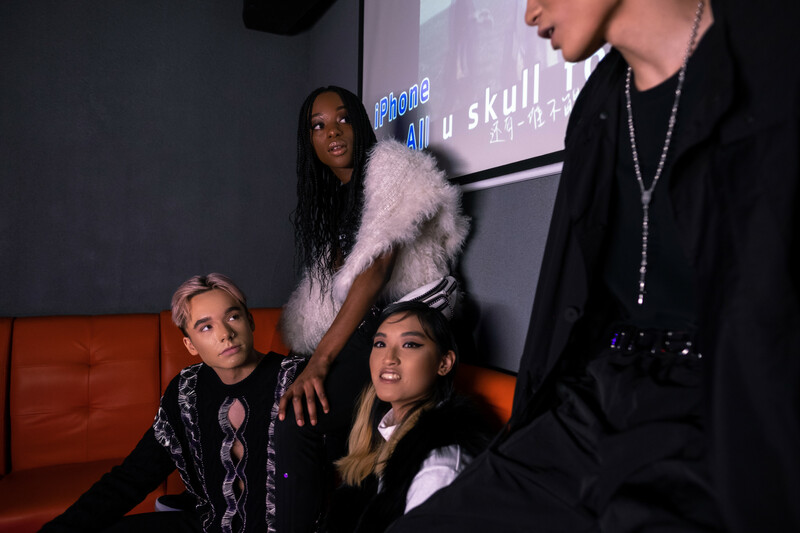 We were lucky enough to link up with our friends at La Muse who were happy to show us a good time and let us experience China’s most popular way to party. Julie wears Alexander Wang turtleneck, Yves Salomon vest, Alexander Wang bag and Alexander Wang skirt. Fatou wears Alexander Wang t-shirt, Alexander Wang pants, Alexander Wang bra and Alexander Wang bag.